Festival Number 6 have strengthened an already potent line-up with a raft of new names for the bill, featuring special curations from the likes of Gruff Rhys and Finders Keepers Records, Getintothis’ Patrick Clarke reveals all. Portmeirion’s Festival No. 6 have released details of a raft of Welsh and international acts that will be joining the line-up at this year’s festival. In celebration of their 10th anniversary, Finders Keepers Records will host their own Un-Mutual Stage, with multinational psych-rockers Fumaça Preta, Graham Massey’s Toolshed and the first ever live performance from the cult proto-electronica project T.R.A.S.E. Una Baines, co-founder of The Fall, will also perform with her band The Fates in collaboration with members of The Folklore Tapes collective, as well Liverpool’s own The Sundowners. Meanwhile, Gruff Rhys will be curating the Gatehouse venue on the Friday of the festival in collaboration with Finders Keepers for a day of live music and film based around the 150th anniversary of Welsh settlers arriving in Patagonia, Argentina. The Super Furry Animals man himself will perform songs from his soundtrack album Set Fire to the Stars, composed for a biopic of Dylan Thomas released last year, alongside Welsh-language newcomers Anelog, husband-and-wife duo The Lovely Eggs and Cardiff’s Tender Prey, while Pete Mitchell takes on compering duties. Sŵn Festival‘s Welsh music specialists Huw Stephens and John Rostron will also curate a special line-up of native acts and collaborators including bilingual rockers Estrons, anti-pop stalwart Y Pencadlys, Criccieth songwriter Titus Monk and composer/performer Huw M.
9 Bach, whose last LP was named Best Album at the prestigious BBC Radio 2 Folk Awards, will also be performing, as will singer-songwriter Yws Gwynedd, formerly of three-piece Frizbee, and many more. They all join headliners Belle & Sebastian, Grace Jones and Metronomy, as well as the likes of Catfish and the Bottlemen, James Bay, British Sea Power and more. 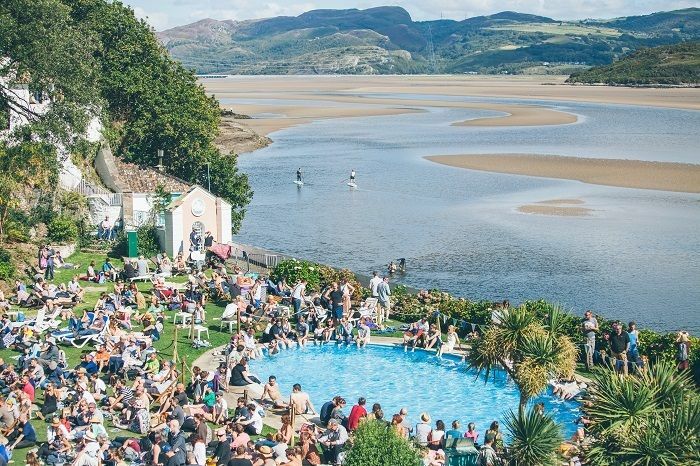 Getintothis is also giving you the chance to win tickets to the festival this year, see our Facebook post here for more information on how you can grab your spot in North Wales this September.